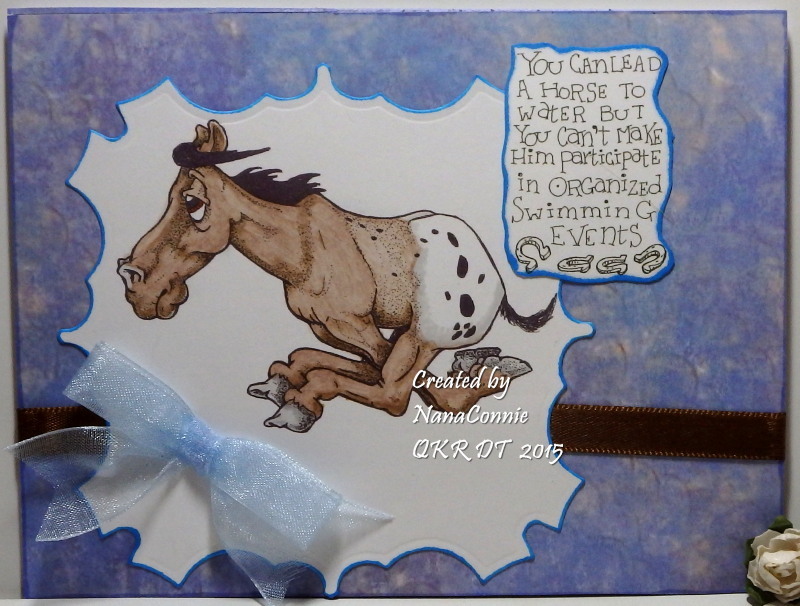 New challenge starts today at QKR Stampede and our theme is "Washi Tape." I've used washi exactly one time before and if I hadn't been given a kit with matching dp and washi tape, I wouldn't have had any to use on my card. 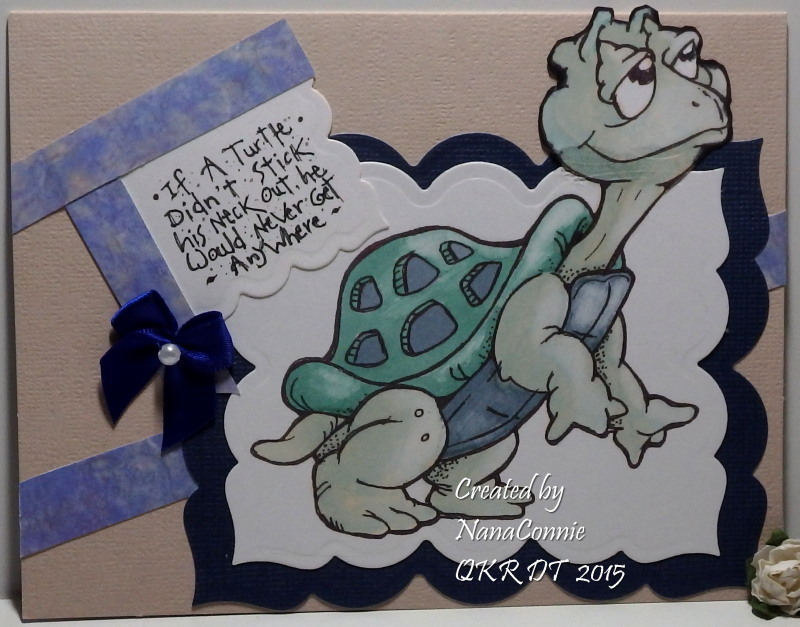 The card I did for QKR last week had the paper that was in the kit. This card used Digi 163115 Turtle and Digi 16317 If a Turtle... . 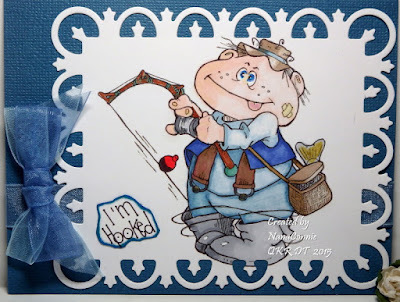 I used my ProMarkers to color the image, then did an out-of-the-box cut with a die from Spellbinders. I matted it with another die cut. 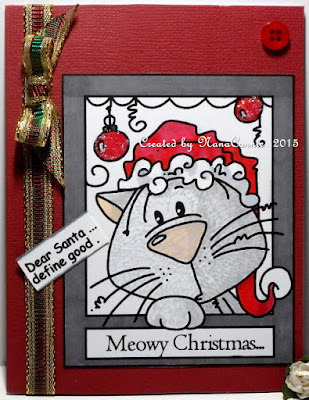 The sentiment was printed and die cut, and I layered everything onto the card front, some pieces on top of washie tape and using washi tape to adhere the sentiment piece. I added one little bow for embellishment and called it done. This lovely image, called "Owl Masquerade," is from AuroraWings and the challenge theme over there is "Anything with Wings." 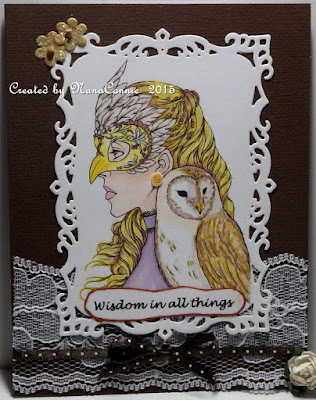 The image is colored with my trusty ProMarkers and die cut with one of my framing dies from Spellbinders. Her earring is made with a Pearl Pen and I flattened the pearl just before it was completely dry. The lace was in my box of hoarded laces and the brown, polka dot ribbon came from Joann Crafts. The tiny flowers were punched and glittered, with beads added to the centers. The week-long, Christmas-in-July challenge at Catch the Bug is more than half over and ends on Friday. So far, I've managed to play each day and I only have two more to go. I'm already working on a card for tomorrow but for Friday, I have to wait for the freebie image which will be posted that morning. 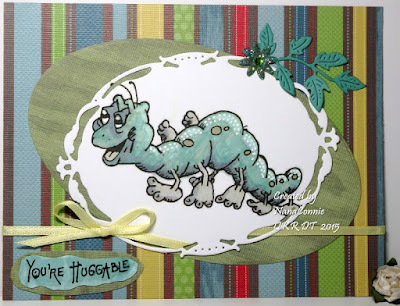 Today's theme is a Tic Tac Toe board and I did the first column; Bugaboo Stamps image, Funny sentiment, and Sparkly. I used my ProMarkers again then added glitter to the ornaments in the image for sparkle. The ribbon has been in my Christmas stash for at least 3 years, although I've used it on several cards in that time and I still have a couple of yards left. What I never noticed until I was editing the photograph is that the 'red' stripe down the middle of the ribbon can look green when turned the right way. I guess it has to do with how the light strikes it. Odd that I've never seen that before. 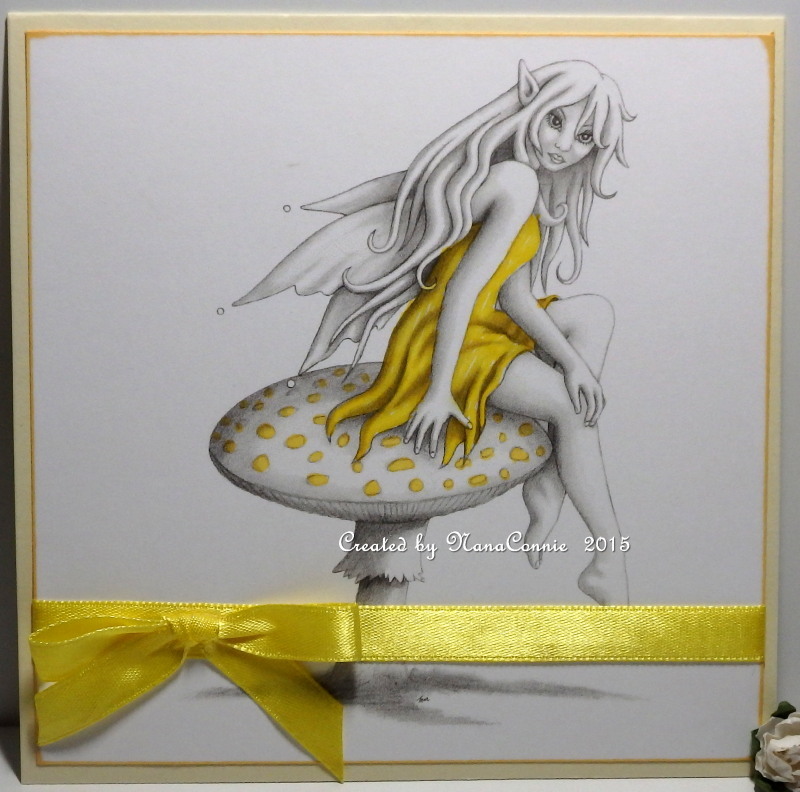 Have you ever made a card and then fallen in love with it so much you doubt you'll ever be able to give it away? 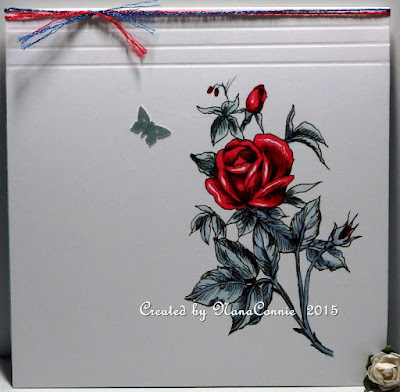 This card with the gorgeous red rose (image from Morgan's ArtWorld) is one of those for me. I know you must be asking yourself why the leaves are blue instead of green but the answer is very simple. I wanted to try yet another card which used a red, white, & blue combo without it being a flag-waving, patriotic card. I also wanted a very CAS card so the image is printed directly onto the card front. The image is colored with ProMarkers. 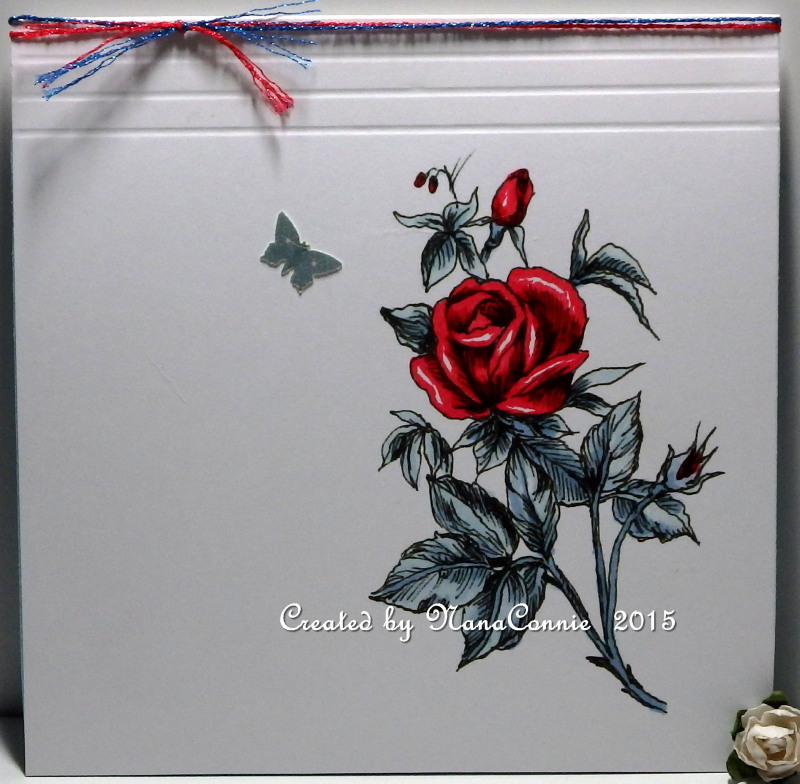 I added three score lines to the top of the card and one tiny die cut butterfly for embellishment. Actually, the butterfly is a negative piece which drops out of a circular die by Spellbinders. Whenever I use the die, I scoop up all of those negative butterflies and put them into a little drawer where I keep negative die cut bits for use on other projects. 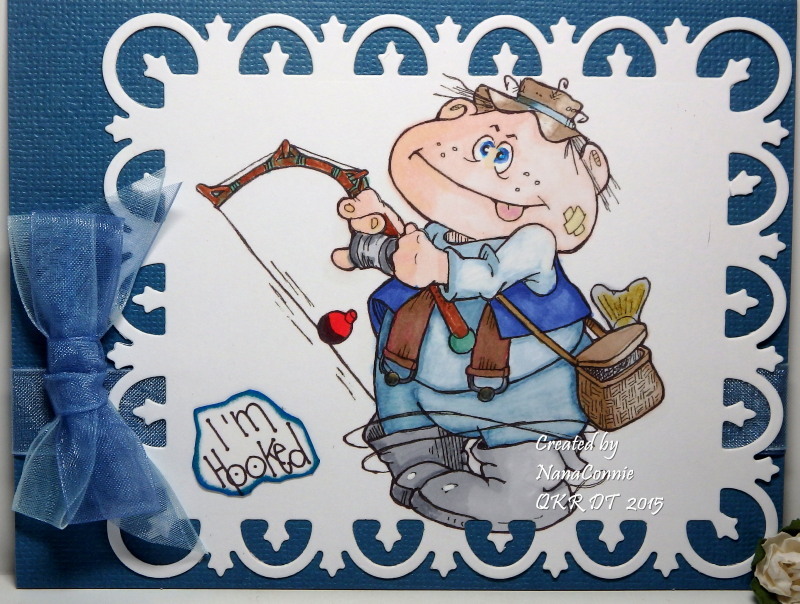 This one was almost an exact match to the blue I used to color the leaves. 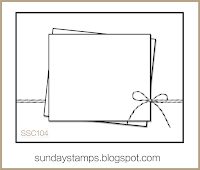 I used the sketch from Sunday Stamps. 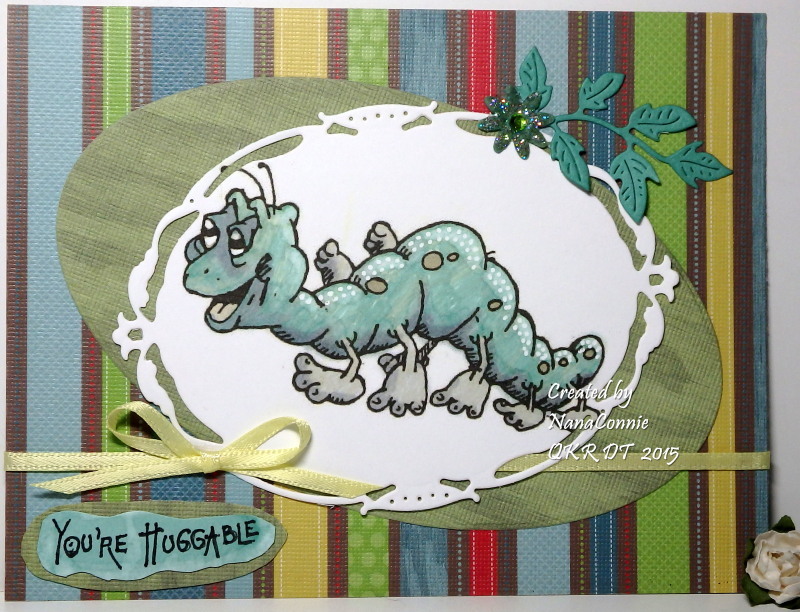 I used my ProMarkers to color the image and then added the spots along the caterpillar's back with white gel ink. Notice how nicely that complements the polka dots in the background dp and, at the same time, gives the illusion of light along his back? I used a Spellbinders die to cut the image and another oval die to cut the wood grain dp. The striped dp was a scrap rescued from the Deep 6 bin and the ribbon was also a left over scrap. The sentiment is hand cut and matted, then hand cut again. The leaf is cut with a die from Cheery Lynn (also a scrap) and I added the tiny flower, then glittered it for a tiny bit of sparkle.